In the last few days since after the former President Chief Olusegun Obasanjo published an open letter to the incumbent President Muhammadu Buhari, the talking point has been the issue of nepotism in appointments which principally constituted the rationale for that widely celebrated letter. Former President Olusegun Obasanjo was a military Head of State when Muhammadu Buhari served as Petroleum minister just before the advent of the Second Republic headed by Alhaji Shehu Shagari. Shagari was ironically was on December 31st 1983 unseated unconstitutionally by a bunch of military coupists headed by the then Major-General Muhammadu Buhari. So the letter from Obasanjo is rated highly as coming from a well-considered quarter. Indeed, a few months back, the wife of Buhari, Hajia Aisha, granted a record breaking interview to the Hausa language service of the British Broadcasting Corporation (BBC).I said the interview remains record breaking and this was because although it was in the Hausa language service of the BBC, it was listened to by millions of people who can hardly hear a word in Hausa but most of whom sought the services of interpreters including yours faithfully so as to comprehend the kernel of that award winning interview. The transcript of that interview was also read on Google for hundreds of thousands of times by anxious readers from around the globe. 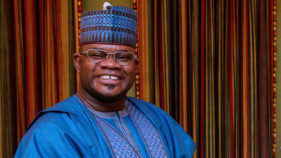 The interview elicited huge editorial commentaries in leading mainstream and online news media in Nigeria and in such international cities like Washington DC, New York, Berlin, Beijing, Oslo, Paris and London among others. Cartoonists in Nigeria also had field days celebrating the graphics of the interview and the predictable but shocking response of her husband. In that interview which also constituted the major news talking point in Nigeria, the wife of the President accused her husband of cronyism and for allowing a cabal within his office to hijack the affairs of the state whilst he watches as a mere spectator.That interview by Mrs. Buhari brought out a graphic detail of how the Nigerian President rates or categorizes the women folk. Women have been treated with the short end of the stick in terms of strategic national appointments made by Buhari.In his response to the interview, President Buhari had dismissed his wife as an interloper in political affairs as it affects his office and asserted that she shouldn’t have jumped her traditional place in the house as a wife and that the position of his wife in his household is limited to the other room. Putting side-by-side these two strategic media interventions by the erstwhile President who indeed as a senior General in the Nigeria Army to the current President can be said to know Muhammadu Buhari like the back of his palms and also the President’s wife for over thirty years, what stands out clearly like the Northern Star from these interview and letter is that Nepotism, Cronyism remain a huge challenge in the leadership style or otherwise of the current President. When I sat back and reflected over these interview then and the open letter most recently, what came like fountains of water pouring on me was the probing question of whether President Buhari is a follower of the teachings of Carl Schmitt (1888-1985) who propounded the unacceptable theory that a sovereign head of state is permitted to deviate fundamentally from following democratic precepts and the norms, procedures and principles of law and order. The editors of the book called “The politics book” wrote that Carl Schmitt was a German political theorist and lawyer whose work during the early 20th century established him as leading critic of liberalism and parliamentary democracy. This widely studied legal analyst, Schmitt it was, who saw the “exception” (Ernstfall in German which means serious case) – unexpected events- as a quintessential characteristics of political life.He was quoted as sharply disagreeing with the liberal idea that the law is the best guarantor of individual liberty. Hear him: “While the law is able to provide a framework through which to manage “normal” states of affairs, it was not designed to deal with “exceptional” circumstances such as coup d’ etats, revolutions, or wars”.This enigmatic but controversial writer Mr. Schmitt unfortunately saw legal theory as too far removed from legal practice and changing social norms. This early twentieth century academic of considerable interest who was accused of providing the intellectual weapons that Adolf Hitler adopted in implementing his Nazis ideology and the hate-filled ideology that resulted in the killing of 6 million Jews(Holocaust), believed that legal theory was unfit to deal with the unexpected turns of history, many of which could threaten the very existence of the state.In his warped imagination he argued that a President is better able to guard a country’s constitution than a court, and so should necessarily be above the law. “The ruler should be the ultimate law-maker in exceptional situations”, he says.Reading through the contents of ex-president Obasanjo’s letter to President Buhari and the transcripts of the BBC’s interview granted by President Buhari’s wife, an observer is left with little or no doubt that much of the accusations of nepotism and cronyism listed out, graphically point towards the direction of a ruler who has accepted the unconstitutional and illogical teachings of this infamous German political theoretician and lawyer talked about a while ago. I will run through what i call the irregular logic as espoused in the teachings of the German political theorist Mr. Carl Schmitt.Carl Schmitt states as follows: “the political life of a country always includes exceptional circumstances even as the judgments of the law courts depend on historical precedents, so can only be applied in “normal situations. He says when an exceptional situation occurs only one person must be able to operate above the law, suspending it and taking all steps necessary to save the state. Schmitt then concludes that “the only person capable of this is the sovereign. Sovereign is he who decides on the exception”.Going through the whole gamut of this illogicality by the German lawyer aforementioned, the same tendencies are replicated in the actions and inactions that ex-president Obasanjo and the wife of President Buhari accused him (Muhammadu Buhari) of doing. These tendencies which revolves around nepotism and cronyism are clear breaches of the law in place in Nigeria.The question that is necessary to situate these attitudes properly is to ask if President Buhari is a disciple of the German lawyer and theorist Mr. Carl Schmitt?Be that as it may, let me put it straight away that the Nigerian constitution is the supreme law of the land and that all office holders in the three arms of government have subscribed through a legally binding oath to adhere strictly to the provisions of the constitution. Besides, the Constitution allocates ownership of Nigerian sovereignty to the People of Nigeria and also clearly provides that the people through periodic votes donate their legitimacy to exercise authority of leadership to occupants of political offices including the head of the Executive arm of government. It must be noted that in Nigeria there are three arms of government namely the Legislature, judiciary and the executive. All the respective arms of government are complimentary to each other and none is superior to the rest. In that case, the teachings of Schmitt tolerating tyranny of the Presidency is ultra vires, unconstitutional, null and void. It follows therefore that nepotism or cronyism are intolerable in a democracy such as the form we practice in Nigeria which is properly called constitutional democracy patterned after what is practiced in the United States of America. Nigeria got her political baptism and independence from the British. Great Britain has an unwritten constitution but the Westminster parliarment is one of the most vibrant and credible democratic institutions in the World. Both the Americans whose Presidential system of government we adopted and the British whose parliamentary system of government we once practiced shortly after Independence in 1960 and their historical civil laws which constitute the bulks of our law books, have the greatest regard for what is called the principle of checks- and- balances which implies that power does not reside in one person. Specifically, the Nigerian constitution does not have any provision that permits the holder of the office of President to violate with reckless abandon any aspect of the constitution. To begin with, the President as well as other political office holders are produced in line with clearly stated legal provisions of the Constitution and swear to uphold the Constitution and so this makes it incumbent and imperative that political leaders must comply totally to these provisions of tge Constitution which they subscribe under binding legal obligations to uphold. So, it follows that a building can’t exist independent of its foundation. This thereby debunks the essence of the teachings of Carl Schmitt which appear to be the guiding ideology of President Muhammad Buhari going by the ease with which cronyism and nepotism have been elevated to a statecraft. Besides, there are ample provisions which if activated could be used as effective legal sanction for a President who deviates from constitutional norms to practice the kind of tyranny that Carl Schmitt wrote about in the post-second World War Germany. The Nigerian Parliament under normal circumstances is empowered to employ and deploy legal sanctions of impeachment if the President persists in the committal of such impeachable offences such as cronyism and nepotism. 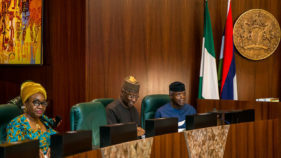 The constitution recognizes federal character principle in all appointments thereby ruling out any chance of legalizing nepotism and cronyism which are the kernels of the allegations made against President Muhammadu Buhari by his wife and former President Obasanjo in addition to a flood of accusations from a cross section of the Nigerian people on the same thematic areas. As aforementioned, the Wife of Nigerian President, Aisha Buhari granted the BBC Hausa an interview, which was so impactful that sources within the presidency claimed that President Muhammadu Buhari had sought to stop but the BBC being a foreign broadcast medium refused to bulge or be bought. 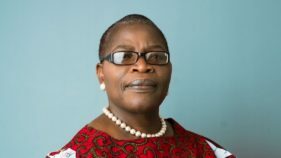 In that earthshaking interview, the wife of the President told the BBC that It has been One and a half years since President Muhammadu Buhari came into power, and that a lot of people are expressing their unhappiness over the way few acquaintance of the President have hijacked power while neglecting people that work for his success. Aisha pointedly accused Buhari of cronyism when she stated that a certain cabal calls the shots in determining who gets what appointments at the national level. This cabal made up of nephews, Uncles and Cousins of Muhammadu Buhari are responsible for handing over all national security posts to persons of Hausa/Fulani extraction who share same belief system with the President. Her words: “There is nothing I can tell him, he is seeing things himself. Out of the people he has appointed, take 50, 45 of them I don’t know them. Perhaps he doesn’t know them too. I have been living with him for 27 years”. 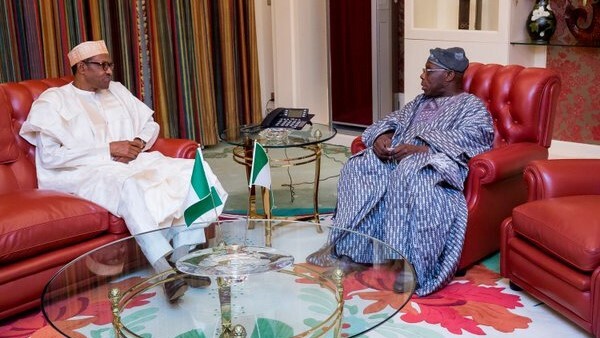 Former President Olusegun Obasanjo was more punchy and straight to the point when he alluded to the fact that nepotism by Muhammadu Buhari has derailed the efficient and effective discharge of the mandate, programmes and blueprints of the All Progressives Congress that sponsored the current President at the 2015 election. Obasanjo played significant role in bringing about the current government through such mechanisms like demarketing through outright falsehood and propaganda the then President Goodluck Jonathan as a damaged brand. He did also authored an open letter to the then President. He continued: “The situation that made Nigerians to vote massively to get my brother Jonathan off the horse is playing itself out again. First, I thought I knew the point where President Buhari is weak and I spoke and wrote about it even before Nigerians voted for him and I also did vote for him because at that time it was a matter of ‘any option but Jonathan’ (aobj). But my letter to President Jonathan titled: ‘Before It Is Too Late’ was meant for him to act before it was too late. He ignored it and it was too late for him and those who goaded him into ignoring the voice of caution. Judy Nadler and partner conducted an indept research into the disturbing phenomenon of nepotism and cronyism and came out with predictable outcome of what a society that condones these vices would look like. These writers stated that favoritism is the broadest of these related terms of nepotism and cronyism and so it would be great to capture the meaning of the concept of favourism as that will quicken the fuller understanding of the twin evils of nepotism and cronyism. “Basically favoritism is just what it sounds like; it’s favoring a person not because he or she is doing the best job but rather because of some extraneous feature-membership in a favored group, personal likes and dislikes. Favoritism can be demonstrated in hiring, honoring, or awarding contracts. A related idea is patronage, giving public service jobs to those who may have helped elect the person who has the power of appointment. Favoritism they say has always been a complaint in government service. Cronyism they wrote is a more specific form of favoritism, referring to partiality towards friends and associates. As the old saying goes, “It’s not what you know but who you know,” or, as blogger Danny Ferguson put it, “It’s not what you don’t know; it’s who your college roommate knows.” Cronyism occurs within a network of insiders-the “good ol’ boys,” who confer favors on one another. “Favoritism, cronyism, and nepotism all interfere with fairness because they give undue advantage to someone who does not necessarily merit this treatment”.“In the public sphere, favoritism, cronyism, and nepotism also undermine the common good”. This happens because according to them, when someone is granted a position because of connections rather than because he or she has the best credentials and experience, the service that person renders to the public may be inferior.There is therefore no denying the obvious fact that the appointments made so far especially in the straregic national security apparatuses of government under Muhammadu Buhari is lopsided in favour of one section- the North and one religion which is the religious faith of Muhammadu Buhari. This favouritism, cronyism and nepotism got to a filthy level when President Muhammadu Buhari handed over all the positions in the internal security architecture of Nigeria to his Hausa/Fulani kinsmen. As can be seen, the minister of Defence who is from the same Ethnicity and religious affiliation with Muhammadu Buhari shamelessly defended the incessant violent attacks by armed Fulani herdsmen against farming communities simply because they are of his Ethnic and religious affiliation. Rather than ask that the killer herdsmen responsible for some of the most heinous atrocities be arrested and prosecuted the Hausa/Fulani minister of defence was offering reasons indeed subtle justifications for these crimes against humanity. These vices of nepotism and cronyism have started stifling patriotism and instead of promoting and enthroning a merit based society what Buhari’s administration has introduced is naked show of favouritsm, nepotism and cronyism which are antithetical to the tenets of the Nigerian Constitution. Sadly, the National Assembly seems to be on sabbatical and the hitherto active civil society community are dining and wining with the infamous cibilian tyranny that has fully evolved before our very eyes. Will next year’s election correct the mistake of 2015, only time shall tell.